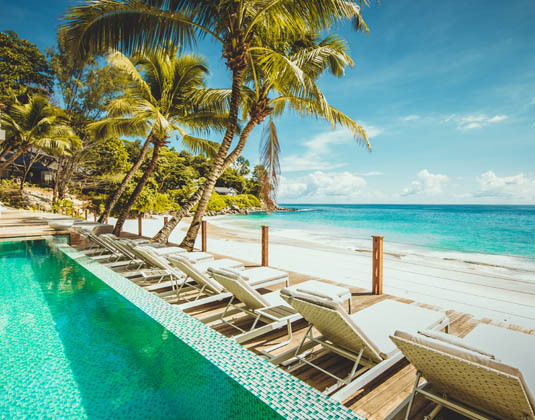 Overlooking one of Mahé’s most dramatically picturesque beaches, with Beau Vallon Bay just 15 minutes drive away, this boutique hotel features contemporary ocean-themed decor which makes for a casual, yet chic, ambience. 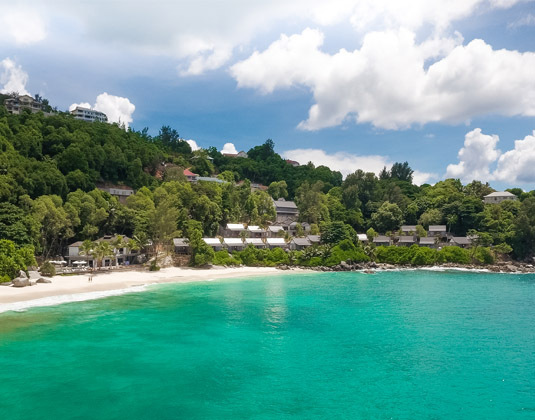 All chalets are positioned within a few steps of the beach and offer incredible views of striking blue seas framed by lush jungle. Unwind beside the beachfront pool or at the spa before you dine at either of the tempting restaurants. 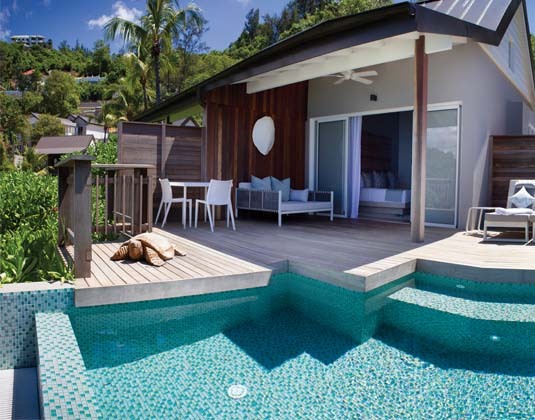 In ocean view chalets with air-conditioning, shower, mini bar, fridge, Nespresso machine, safe and terrace with day bed. Breakfast. Half board (a la carte) available. Early booking & long stay room discounts up to 25%: On selected dates between Aug 18-Oct 19. Minimum stay may also apply. Family offer: Aug-21 Dec 18 & 07 Jan-31 Oct 19 receive 25% discount for second room for up to 3 children (0-17 years). Honeymoons: 01 Aug-21 Dec 18 & 07 Jan-31 Oct 19 if you stay at least 4 nights receive 25% room discount and 10% spa treatment discount.